We may store information about you using cookies (files which are sent by us to your computer or other access device) which we can access when you visit our site in future. We do this to [describe why cookies are used] (I can’t describe why cookies are used because I don’t use them). 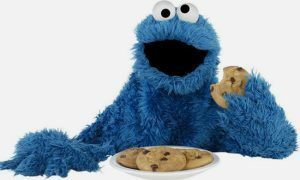 If you want to delete any cookies that are already on your computer, please refer to the instructions for your file management software to locate the file or directory that stores cookies.Information on deleting or controlling cookies is available at www.AboutCookies.org. Please note that by deleting our cookies or disabling future cookies you may not be able to access certain areas or features of our site. Confused? Well we’re not sure either but we think that makes us legally compliant and that’s the main thing. Look, to put it another way… we don’t store anything about you but this site uses WordPress and to help you navigate around it might put something called a “cookie” on your computer. There are also some “widgets” and “plugins” we use in WordPress. These “widgets” and “plugins” might use a cookie but we don’t think they do. We’ve also checked this site using Privacy Badger and Ghostery. Both of these services say nothing is running and that’s good enough for us. Not only are we not collecting anything about you we’re trying to actively ensure no plug-ins used on this site collect anything either. But these things get updated and they might drop an update which pops a cookie in we don’t know about. Look, we’re trying to be good guys here. Either way, If you don’t want any cookies (or any biscuits of any description) then visit: www.AboutCookies.org who will hopefully give you more information.